No. 111. The pleasures and advantages of industry. Vix ea nostra voco. OVID. The evils inseparably annexed to the present condition of man, are so numerous and afflictive, that it has been, from age to age, the task of some to bewail, and of others to solace them; and he, therefore, will be in danger of seeing a common enemy, who shall attempt to depreciate the few pleasures and felicities which nature has allowed us. Yet I will confess, that I have sometimes employed my thoughts in examining the pretensions that are made to happiness, by the splendid and envied condition of life; and have not thought the hour unprofitably spent, when I have detected the imposture of counterfeit advantages, and found disquiet lurking under false appearances of gaiety and greatness. It is asserted by a tragick poet, that est miser nemo nisi comparatus, “no man is miserable, but as he is compared with others happier than himself:” this position is not strictly and philosophically true. He might have said, with rigorous propriety, that no man is happy but as he is compared with the miserable; for such is the state of this world, that we find in it absolute misery, but happiness only comparative; we may incur as much pain as we can possibly endure, though we can never obtain as much happiness as we might possibly enjoy. Yet it is certain, likewise, that many of our miseries are merely comparative: we are often made unhappy, not by the presence of any real evil, but by the absence of some fictitious good; of something which is not required by any real want of nature, which has not in itself any power of gratification, and which neither reason nor fancy would have prompted us to wish, did we not see it in the possession of others. For a mind diseased with vain longings after unattainable advantages, no medicine can be prescribed, but an impartial inquiry into the real worth of that which is so ardently desired. It is well known, how much the mind, as well as the eye, is deceived by distance; and, perhaps, it will be found, that of many imagined blessings it may be doubted, whether he that wants or possesses them has more reason to be satisfied with his lot. The dignity of high birth and long extraction, no man, to whom nature has denied it, can confer upon himself; and, therefore, it deserves to be considered, whether the want of that which can never be gained, may not easily be endured. It is true, that if we consider the triumph and delight with which most of those recount their ancestors, who have ancestors to recount, and the artifices by which some who have risen to unexpected fortune endeavour to insert themselves into an honourable stem, we shall be inclined to fancy that wisdom or virtue may be had by inheritance, or that all the excellencies of a line of progenitors are accumulated on their descendant. Reason, indeed, will soon inform us, that our estimation of birth is arbitrary and capricious, and that dead ancestors can have no influence but upon imagination; let it then be examined, whether one dream may not operate in the place of another; whether he that owes nothing to forefathers, may not receive equal pleasure from the consciousness of owing all to himself; whether he may not, with a little meditation, find it more honourable to found than to continue a family, and to gain dignity than transmit it; whether, if he receives no dignity from the virtues of his family, he does not likewise escape the danger of being disgraced by their crimes; and whether he that brings a new name into the world, has not the convenience of playing the game of life without a stake, and opportunity of winning much though he has nothing to lose. There is another opinion concerning happiness, which approaches much more nearly to universality, but which may, perhaps, with equal reason be disputed. The pretensions to ancestral honours many of the sons of earth easily see to be ill-grounded; but all agree to celebrate the advantage of hereditary riches, and to consider those as the minions of fortune, who are wealthy from their cradles, whose estate is res non parta labore, sed relicta; “the acquisition of another, not of themselves;” and whom a father’s industry has dispensed from a laborious attention to arts or commerce, and left at liberty to dispose of life as fancy shall direct them. If every man were wise and virtuous, capable to discern the best use of time, and resolute to practise it, it might be granted, I think, without hesitation, that total liberty would be a blessing; and that it would be desirable to be left at large to the exercise of religious and social duties, without the interruption of importunate avocations. But, since felicity is relative, and that which is the means of happiness to one man may be to another the cause of misery, we are to consider, what state is best adapted to human nature in its present degeneracy and frailty. 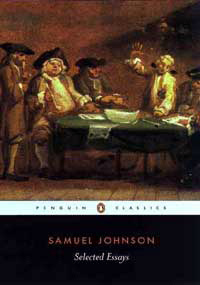 And, surely, to far the greater number it is highly expedient, that they should by some settled scheme of duties be rescued from the tyranny of caprice, that they should be driven on by necessity through the paths of life with their attention confined to a stated task, that they may be less at leisure to deviate into mischief at the call of folly. When we observe the lives of those whom an ample inheritance has let loose to their own direction, what do we discover that can excite our envy? Their time seems not to pass with much applause from others, or satisfaction to themselves: many squander their exuberance of fortune in luxury and debauchery, and have no other use of money than to inflame their passions, and riot in a wide range of licentiousness; others, less criminal indeed, but surely not much to be praised, lie down to sleep, and rise up to trifle, are employed every morning in finding expedients to rid themselves of the day, chase pleasure through all the places of publick resort, fly from London to Bath, and from Bath to London, without any other reason for changing place, but that they go in quest of company as idle and as vagrant as themselves, always endeavouring to raise some new desire, that they may have something to pursue, to rekindle some hope which they know will be disappointed, changing one amusement for another which a few months will make equally insipid, or sinking into languor and disease for want of something to actuate their bodies or exhilarate their minds. Whoever has frequented those places, where idlers assemble to escape from solitude, knows that this is generally the state of the wealthy; and from this state it is no great hardship to be debarred. No man can be happy in total idleness: he that should be condemned to lie torpid and motionless, “would fly for recreation,” says South, “to the mines and the galleys;” and it is well, when nature or fortune find employment for those, who would not have known how to procure it for themselves. He, whose mind is engaged by the acquisition or improvement of a fortune, not only escapes the insipidity of indifference, and the tediousness of inactivity, but gains enjoyments wholly unknown to those, who live lazily on the toil of others; for life affords no higher pleasure than that of surmounting difficulties, passing from one step of success to another, forming new wishes, and seeing them gratified. He that labours in any great or laudable undertaking, has his fatigues first supported by hope, and afterwards rewarded by joy; he is always moving to a certain end, and when he has attained it, an end more distant invites him to a new pursuit. It does not, indeed, always happen, that diligence is fortunate; the wisest schemes are broken by unexpected accidents; the most constant perseverance sometimes toils through life without a recompense; but labour, though unsuccessful, is more eligible than idleness; he that prosecutes a lawful purpose by lawful means, acts always with the approbation of his own reason; he is animated through the course of his endeavours by an expectation which, though not certain, he knows to be just; and is at last comforted in his disappointment, by the consciousness that he has not failed by his own fault. That kind of life is most happy which affords us most opportunities of gaining our own esteem; and what can any man infer in his own favour from a condition to which, however prosperous, he contributed nothing, and which the vilest and weakest of the species would have obtained by the same right, had he happened to be the son of the same father? To strive with difficulties, and to conquer them, is the highest human felicity; the next is, to strive, and deserve to conquer: but he whose life has passed without a contest, and who can boast neither success nor merit, can survey himself only as a useless filler of existence; and if he is content with his own character, must owe his satisfaction to insensibility. Carior est illis homo quam sibi. JUV. Sat. x. 347. What their unerring wisdom sees the want. Ah! that we lov’d ourselves but half so well. DRYDEN. What state of life admits most happiness, is uncertain; but that uncertainty ought to repress the petulance of comparison, and silence the murmurs of discontent. 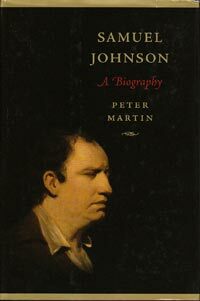 It's not all of them, but here's the most accessible collection of Johnson's most popular and influential essays: Johnson's Collected Essays. 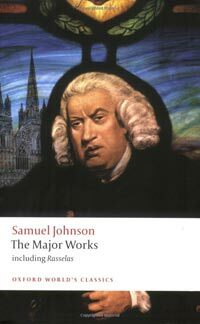 Here's a collection of the most influential and popular writing by Dr. Johnson: Samuel Johnson - the Major Works. 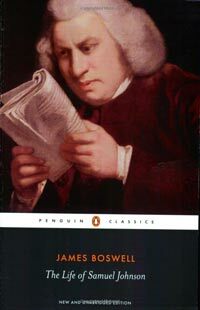 Samuel Johnson, 1709-1784. 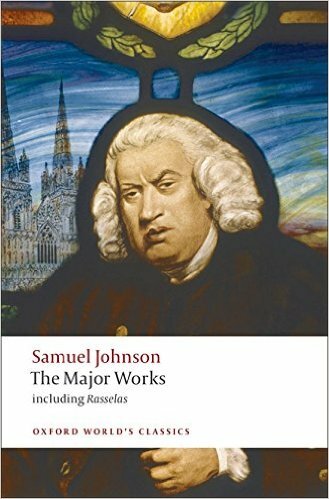 Find Samuel Johnson's work and writings online.